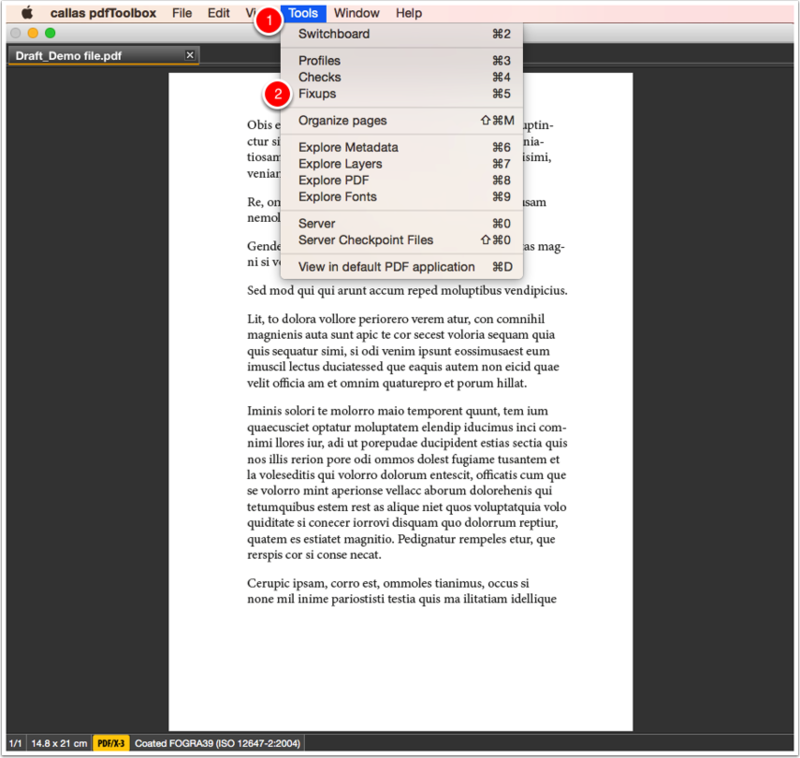 pdfToolbox 8.0 supports a variety of information using static as well dynamic text in a PDF file. 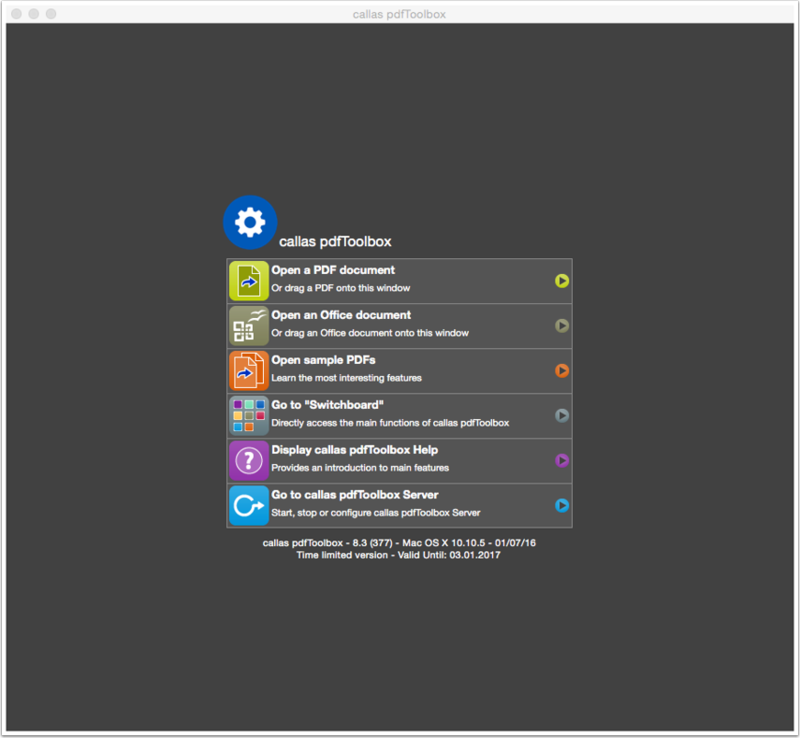 Different fonts, colors and placement options can be added. 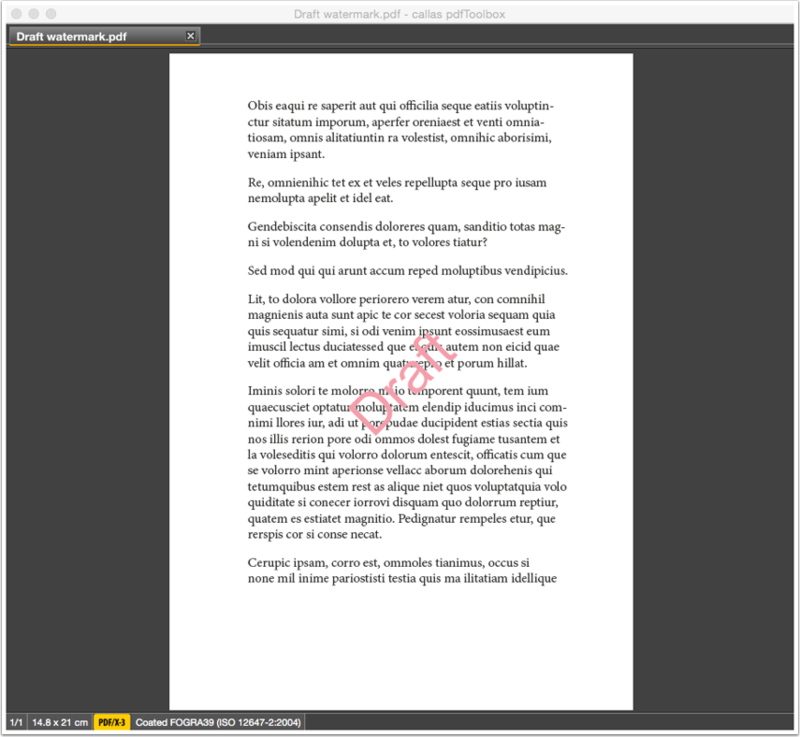 Using the Fixup "Place specified text at the center of each page" you can add text in a PDF file. In this tutorial we add the watermark "Draft". 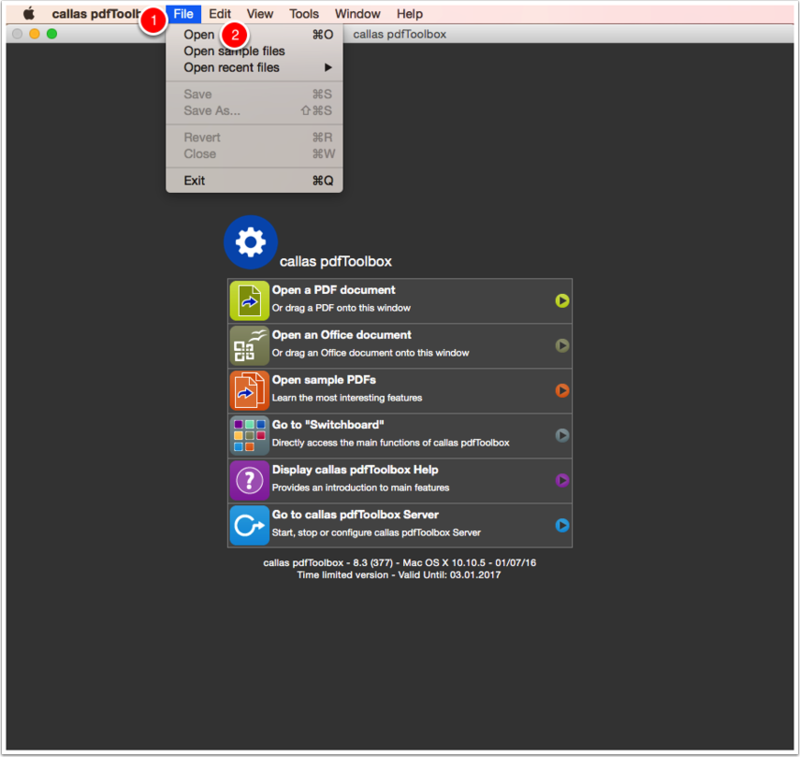 Open the PDF file "Draft_Demo file.pdf"
Click "Open" to launch the file load dialog box and navigate to the folder where the input PDF file "Draft_Demo file" is located. Apply the Fixup "Place specified text at the center of each page"
In the search field search to "Place specified text at the center of each page". 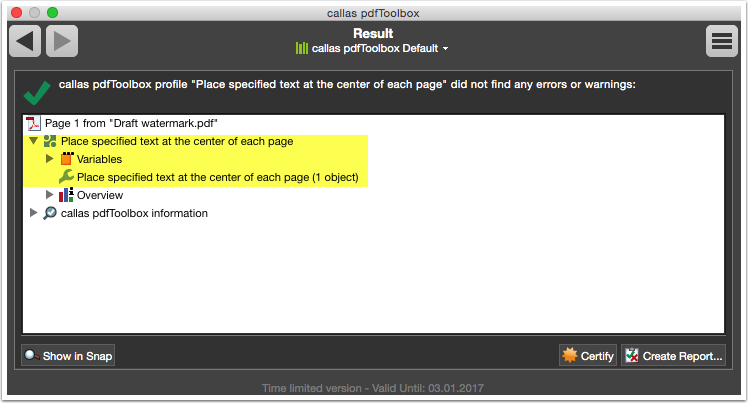 Select the Fixup "Place specified text at the center of each page". 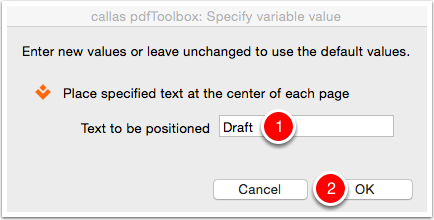 Use the default text value "Draft". 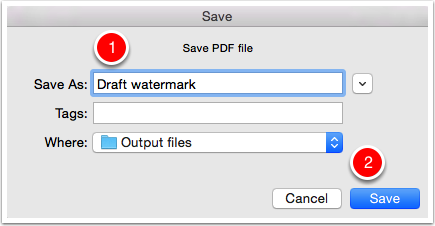 Save the output PDF file as "Draft watermark". A green checkmark shows, no errors occurred. The text "Draft' is placed in the center of the page. NOTE: By duplicating the Fixup you can modify the font, size, color or other design specifications of the text.